This recipe will change your life. Vegetarian friends coming over for dinner? 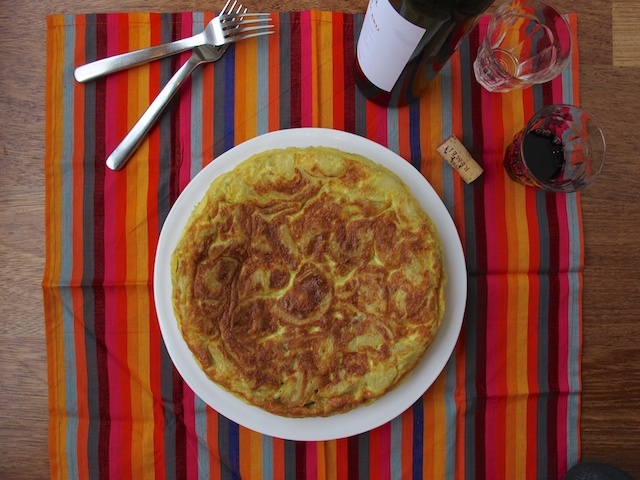 Spanish tortilla. Planning a picnic? Spanish tortilla. Your GFCF child is invited to a pizza party? Spanish tortilla. All of your food dilemmas solved with just one simple recipe. For a relaxed tapas feast, serve with a selection of Spanish treats such as bellota ham, olives, cherry tomatoes, grilled sardines, chorizo and pan con tomate (toasted bread – GF or regular – rubbed with garlic and tomato). 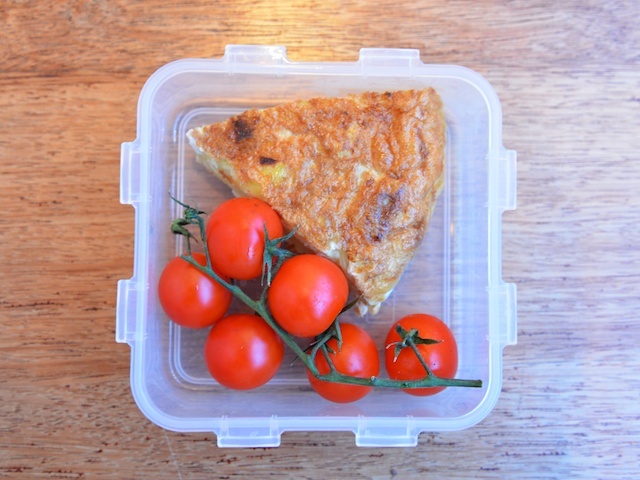 Just be sure to save some tortilla for tomorrow’s lunchboxes. Peel the potatoes and slice very thinly. I use the slicing disk of the food processor to do this. A mandolin would also do the trick. Otherwise, time to show off those knife skills. Heat the oil in a deep-sided, heavy-bottomed 26 cm skillet (or something along those lines). Don’t worry about the vast quantities of oil – most of it will be drained off later. Carefully tip the potatoes into the hot oil and cook at medium heat, stirring frequently, until soft and very lightly browned – about 15 minutes – then drain in a colander reserving about 3 tablespoons of the oil. Whisk the eggs in a large bowl until frothy, then add the cooked potatoes and a generous pinch of salt. Stir well to combine. 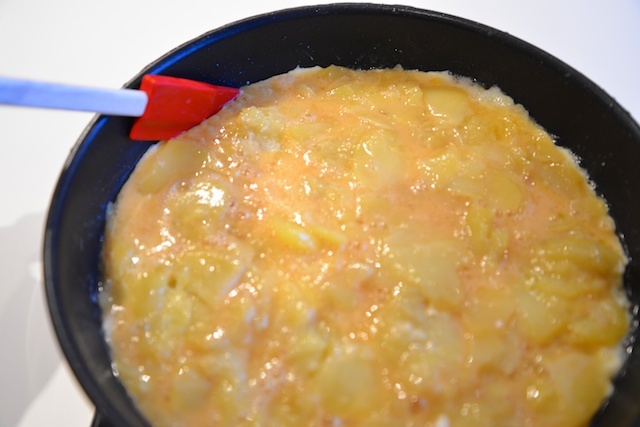 Heat the 3 tablespoons of reserved oil in the skillet, then tip the egg and potato mixture back into the skillet. Cook on medium heat, running a spatula around the edges from time to time to prevent sticking, until the bottom of the tortilla is set – about five minutes. Tip the tortilla out of the skillet onto a large plate, then slide back into the skillet to cook the other side – about five more minutes. Slide or flip onto a plate when it is cooked. Eat immediately or refrigerate and enjoy within 24 hours.